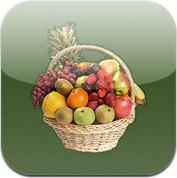 Welcome to the “Vegetable Basket”, an Educational Mobile app from Dev IT Solutions. 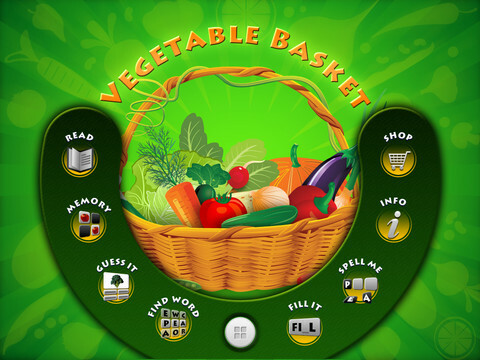 This application is developed for kids to learn the names and spellings of various vegetables, in exciting ways. It is a must have app for kids of all ages. HD quality images and sounds take kid’s experience of vegetable discovery to a greater level. Vegetables make our lives interesting and “Vegetable Basket” will make it healthier. This simple yet engaging app helps kids to learn spellings of various vegetables provided to us by Mother Nature. Learning the names and spellings of various vegetables was never so much fun before. 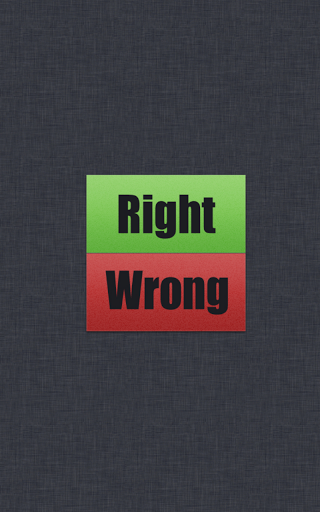 Right Wrong is an amazing Gaming App for iPhone. This app is designed and developed for kids & Adults to learn English words with lot of fun and excitement. This amazing app was developed by expert and experienced developers, is the best and easiest way to learn correct spellings of English Words. This app teaches spellings of thousands of English words. The App shows a word and the user needs to identify whether or not it is the correct spelling for that word. You just need to tap on either of the 2 options given at the bottom of the screen i.e., Right Or Wrong? Once you tap Right Or Wrong for all words displayed in a level, you will be then showed the number of correct and incorrect answers with the correct spellings of those words. The App also allows the user to share scores on Facebook and Twitter to show the ability and sharpness to friends & family. So to conclude this is one of the finest Apps available for iPhone, to learn English words and spellings, for kids & adults. English Conversation is one of the best apps in its class. 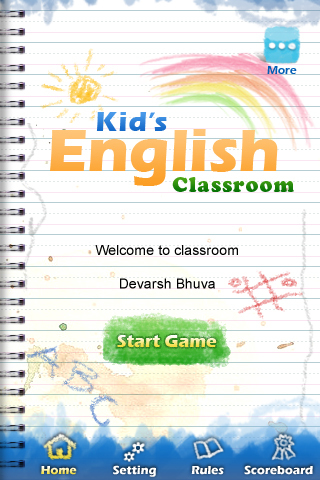 This amazing app developed by Dev IT Solutions is very useful & knowledge gaining for kids aged between 3 & 10. 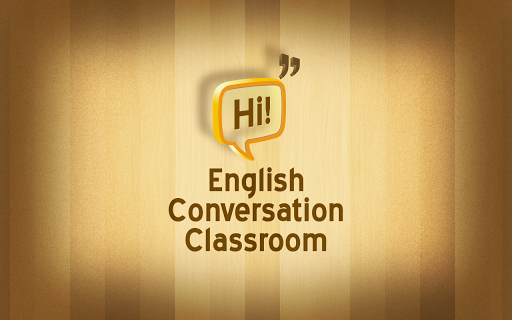 English Conversation App for Android also helps adults who wish to improve their hold over the global language English. Learning English language can sometimes be very tiring & frustrating if the App is not designed and developed to make it interesting. Taking this into consideration, Dev IT Solutions launches this extra ordinary way to learn English language in the form of an application. This wonderful app has per-recorded conversations used in day to day life. For e.g. a person explaining his son what a bank is and why he is going to the bank. 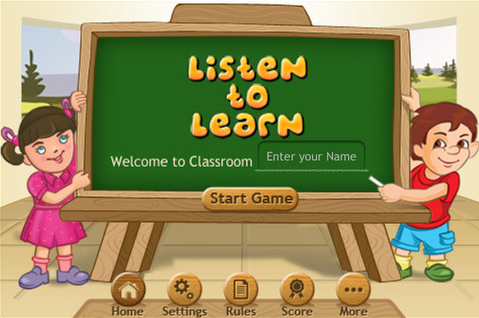 Based on real life scenarios, this app teaches English language in wonderful ways to kids and adults. 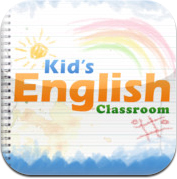 So to say, this is a must have English teaching android app available in the market. 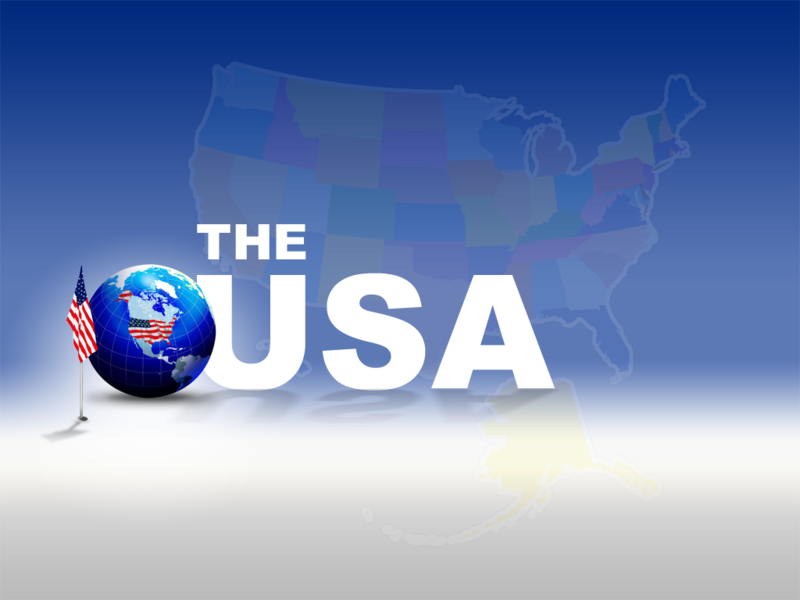 Dev IT Solutions proudly presents “THE USA” for iPad. An amazing App with detailed information on The United States Of America. The USA App for iPad gives you all related information about States of America with a lot of fun. The App helps you get acquainted with all the States of this Great Nation. Beginning from discovery of the state till the formation of the Country, from area of the state (in square miles) till the flag of the state and from the bird of the state till the Nick Name of the state, this app has every detail you might want to know about the country. Many people from around the globe migrate to The United States every year in search of a better and productive life. But how much do they know about this great and powerful country? Even many people born and brought up in The United States do not know many things about the country. Dev IT Solutions has launched this excellent App “The USA” for all those who wish to know everything about this super power of the world. 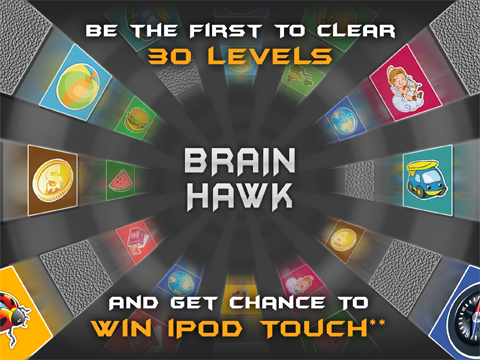 Brain Hawk for Android is an amazing App for children & adults to enhance brain capacity with lot of fun. This App first shows a number of animated images/pictures and then turns them over in a few seconds. The user can try to remember the location of the Bomb image/s and the location of other similar images. The User can start playing by tapping similar images to gain maximum coins and avoid tapping the Bomb image. If the user taps the Bomb image before tapping all other images, the game is lost and begins from Level 1 again. If the user wishes to continue the game from the same level, he or she needs to spend 10 coins to do so. With each level being cleared, number of given images keep increasing and your brain capacity keeps enhancing. This innovative App has 30 levels starting from 4 images in level 1 to 88 images in level 30. Now, it’s time to master the most basic skill of English learning with one of a kind app on the planet. You can be the next spelling bee in making if you start challenging yourself with this fantastic app. This app first plays sound of the word and gives you opportunity to learn the spelling of the word. You will be asked to type the right spelling of the word. There is an option to play sound again. You will get a chance to type only once, so make up your mind before you type and hit Ok button. Timer would be ticking so brace yourself for the journey of your lifetime on learning English like never before. Build your vocabulary and get the super success in life you are always looking for. Here we provide you a chance to learn right mix of first thousand words and build your word power. Practice and master the art of spelling with this amazingly entertaining educational app. We provide you with an option to test your word power. Challenge yourself daily and try to beat others with best scores. This app provides a unique way to harness word power. This app stimulates your brain power too. We have designed this app with a view to provide you multiple levels to improve your vocabulary and spelling skills. This app is for enthusiast of all ages who wants to become the next spelling champ. Armour yourself with range of Antonyms we are providing through this wonderful app. 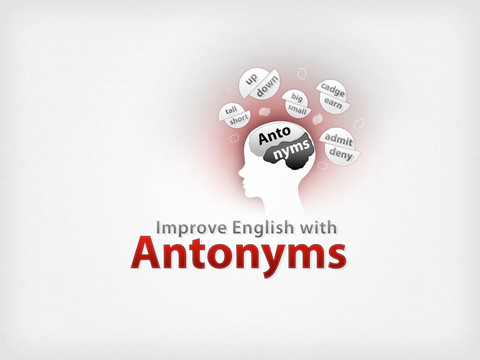 These set of Antonyms are presented to you with easy to use interface. We provide unique interface for quick selection of words and antonyms (A-Z). Bookmark you favourite words with antonyms for future reference. 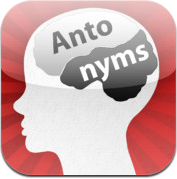 Go through the Read section of the app and master the art of antonyms. This section would help you prepare for Match and Spellings sections of the app. 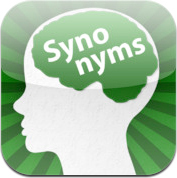 Armour yourself with range of Synonyms we are providing through this wonderful app. 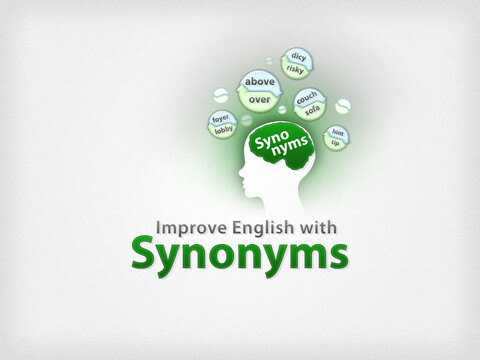 These set of Synonyms are presented to you with easy to use interface. We provide unique interface for quick selection of words and synonyms (A-Z). Bookmark you favourite words with synonyms for future reference. Go through the Read section of the app and master the art of synonyms. This section would help you prepare for Match and Spellings sections of the app. 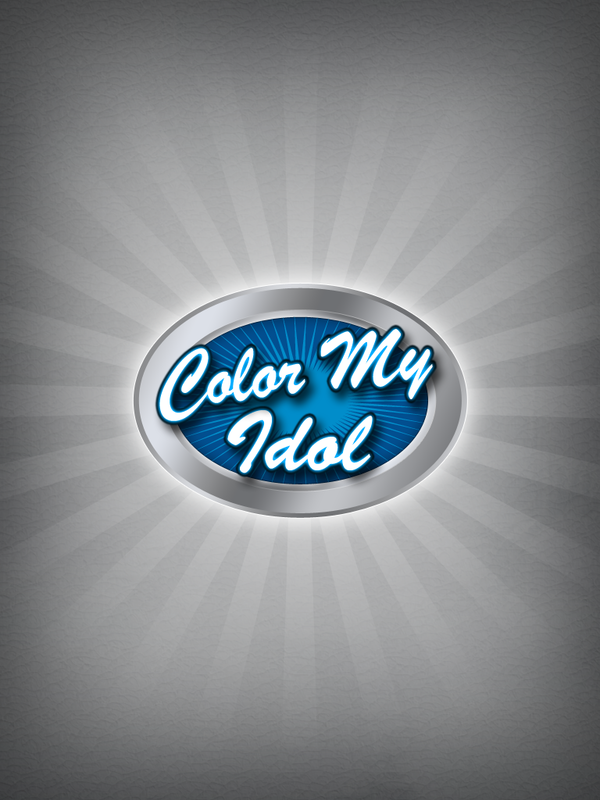 Color My Idol is an exciting educational fun app for young kids. 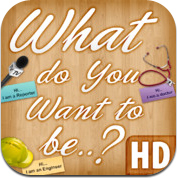 This amazing app has various pictures, of different professionals, created by experts at Dev IT Solutions. This app was especially designed for Kids to use their creativity in coloring along with learning about various role model professionals in our society. The motive behind developing this beautiful app is to keep kids engaged for hours at a time using their imagination and creating their own masterpiece. 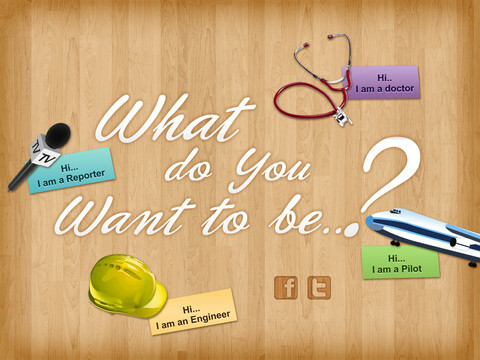 We hired expert designers to create the role model professional pictures for this application. Pictures of various professionals were outlined for kids to fill colors and create their own uniforms and dressings for these professionals. 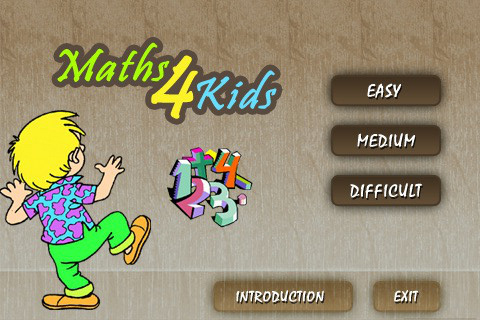 Maths4Kids is a iphone game especially designed by Dev IT Solutions which helps children between 4 to 10 years age groups to test and improve their IQ level. It has 3 different levels start from Easy, Medium and Difficult. Children can directly start from any level according to their standards or IQ level. To play Easy Level you have to click on it. Once you click on it, you can see the black board having questions. You have to answer those questions by clicking different Maths signs listed above right side. You have total 45 questions to answer and 15 seconds for each question to answer or else question would be change automatically after 15 seconds. You can see your score after completing the round of 45 questions. Same way you can play medium and difficult rounds having 10 and 5 seconds. A million dollar question that trouble everybody all the time. We present for the first time options ranging from a medical professional to entertainer and everybody in between to choose from. This app would guide you to make that biggest decision of your lifetime. With I am a section of you get the glimpse of professionals we have amassed just for you. It will help you understands the basic duties undertake by them. Identify the professional from the high quality pictures and increase your knowledge quotient in no time. Get this feature as part of your in-app purchase available in the app. Now it's time to create your own colorful set of Alphabets. 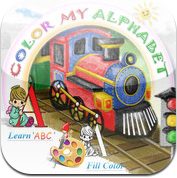 We have created an exclusive application for iPad to make your world of Alphabets filled with colors. 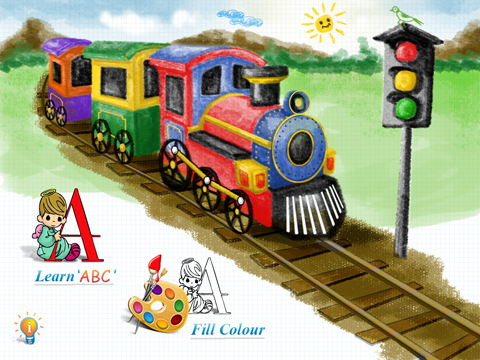 Let your imaginations run naturally and make Alphabets magnificent and cute at the same time. We have made process of learning Alphabets fun and frolic at the same time. It is an app for everybody who is young at heart and believes that life should be full of colors. You would wonder why this app was not around all these years. With a view to provide you with a physical copy of objects and alphabets we have added a worksheet consisting of 26 characters to fill colors when you are not in a mood to play with the app. Take a print out and make use of the colors you have bought over the last holiday weekend. 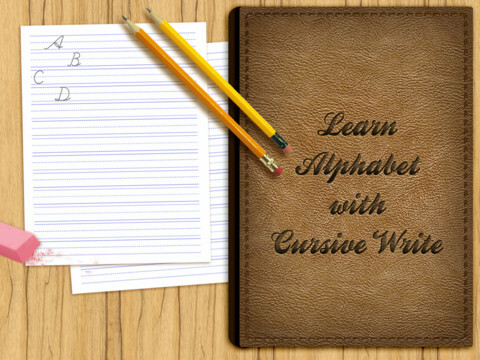 Welcome to most amazing way to harness cursive writing skills. Now you can also be part of that elite group of people who has calligraphy skills. 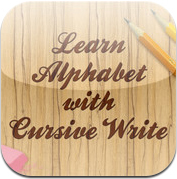 We have put together this unique app with a view to teach how to write the cursive way for the kids of all ages. There are A-Z flash cards with seamless navigation system. There are two spellings for each letter to be learnt as part of your journey. There is a Speech option on each word to improve your accent. This helps you get either Flash cards or Practice Cursive Writing worksheet or both. There will be times when you want to sharpen your pencils and writings skills so we have worksheets that help you do just that. 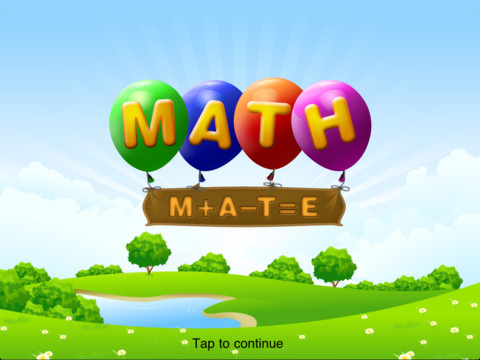 Math Mate will make you math wizard in no time. 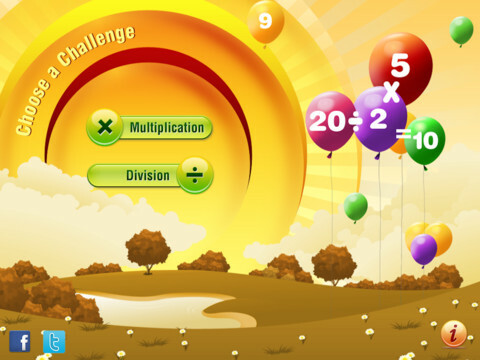 It is fun way to master those boring multiplications and divisions that used to take up lot of your time before. 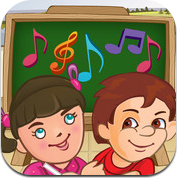 This is educational app for kids with three levels. You are provided with a choice to select additions or subtractions. You are presented with wonderful collection of colorful balloons with options. Start popping up balloons and learn the math the easiest way ever possible. 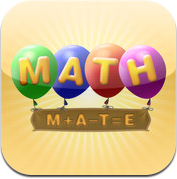 Math Mate will make you math wizard in no time. It is fun way to master those boring additions and subtractions that used to take up lot of your time before. Challenge yourself with one of a kind jigsaw puzzle that requires the assembly of numerous small pieces to reveal Role Model. 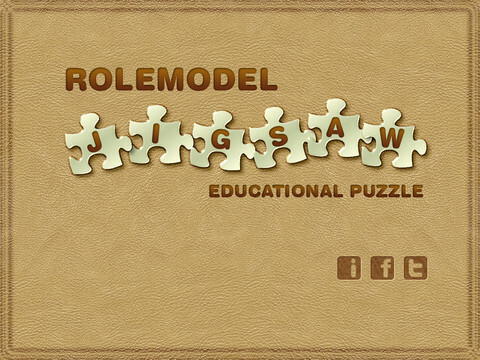 Each piece usually has a small part of your Role Model in action; when complete, a jigsaw puzzle produces a complete picture of role model of your choice. Get immediate response when you move the piece of puzzle and will be rewarded with star studded celebratory sound once you put every piece of the puzzle in the right place. 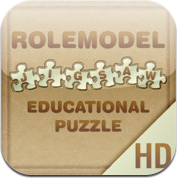 You have to select difficulty level (2x2, 3x3, 4x4, 5x5) and choice of your Role model to initiate a new game. 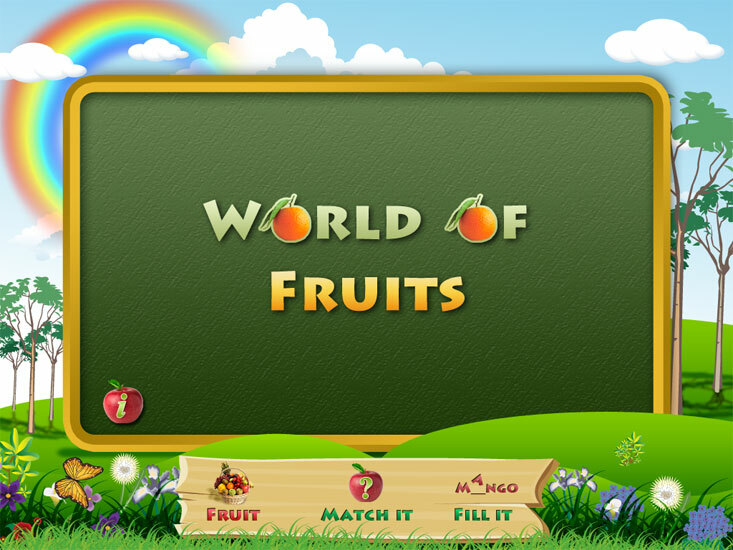 Enter into the wonderful world of fruits. Luscious mouth watering images will make you drool to use this app and improve your fruit intelligence quotient. It ís a must have app for kids of all ages. HD quality images take your experience of fruit discovery to the next level. Fruit makes our lives interesting and this world of fruits will make it juicier. Come and embark on a journey to the amazing world of Fruits. Welcome to the Wild Planet. It is the only planet where you regret why you are human. We have put together animals of all size and shape, from every continent and corner of the world. Increase your knowledge about basic instincts of animals. 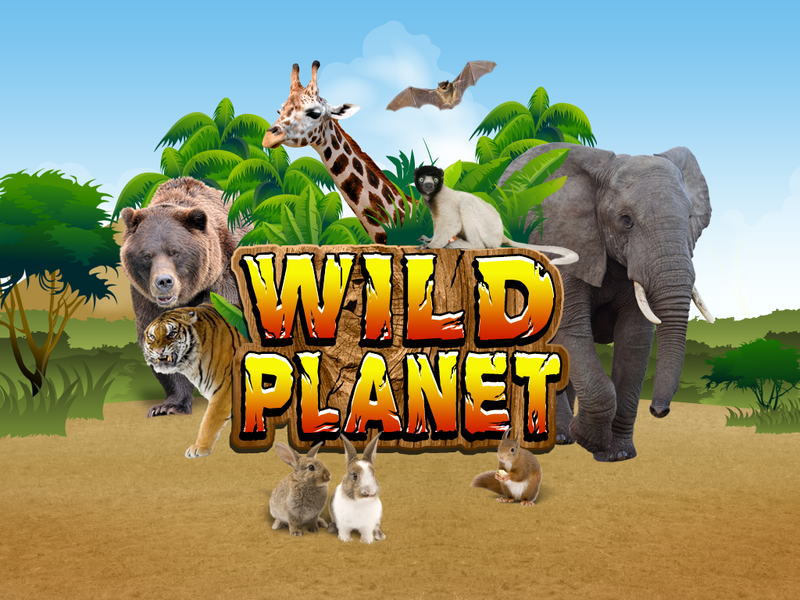 Some fun facts about animals are being played for you for each animal inside this app. We have collection of best of the best animals known and unknown. Come and get enchanted with the wonders of the animal world. It is an amazing animal world out there for you to explore. Match your pampered animals with correct spellings quickly to reveal your score. This will give you amazing experience on your iPad. 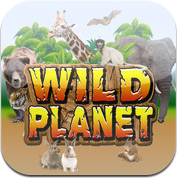 This app is bound make you happy and set your mood to take that next safari visit soon. Here is an option to record your movement on your path to your favorite place in town. Start recording the map to feel the difference. Create your own turn by turn directions so you don’t have to rely on third party map services. Gone are the days when you enter source and destination to get directions. This is one of a kind fun way to create your own customized map at your own pace. Share these maps with your friends and family so they are never lost and you can spend more quality time together and spend less time on searching for maps. 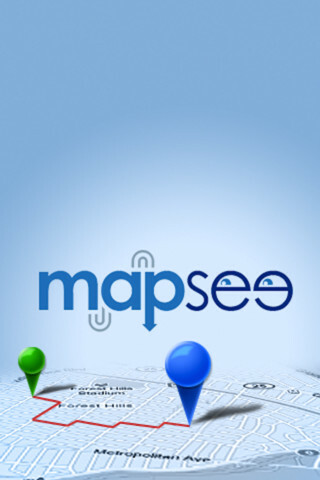 Maps would be saving for later review and sharing. You can take recording to map to the next level by providing your clients and distributors maps of your business locations. 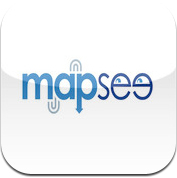 Create maps from metro, subway or nearby airports and share in your professional or social network.